More recently, civil society helped rebuild Nepal after the country was devastated by an earthquake in April 2015. With the Nepalese government unable to conduct proper disaster relief, the people of Nepal turned to one another. 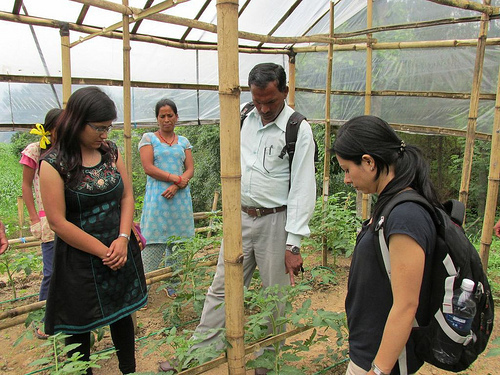 In June, our blog focused on Nepal and its efforts to rebuild with the aid of international philanthropy. Using Twitter and Facebook, Nepalese citizens were able to arrange rescues, deliver supplies and provide shelter. According to Christian Science Monitor, “Nepal’s response to the [earthquake] was helped by an increase in the number of civil society groups since the introduction of multiparty democracy in the 1990s.” In response, Google has brought back “Person Finder,” a system used after Haiti’s 2010 earthquake to check social media for possible updates on missing persons. Locally based initiatives including Tomnod, a program designed to crowdsource images of structural damage, provided first responders with valuable information. These restrictions are, unfortunately, not limited to Laos. In Singapore’s recent elections, the People’s Action Party (PAP) retained its majority in parliament, a position that it is held since 1959. The PAP, positioned as a center right party, has a reputation for restricting the actions of free speech within the city. In March 2015 Amos Yee, a teenager responsible for a video that criticized a former Singapore leader was arrested. Yee was sentenced to 18 months of “reformative training.” Amnesty International was quick to respond: “According to the Office of the UN Commissioner on Human Rights, reformative training is ‘akin to detention and usually applied to juvenile offenders involved in serious crimes’ and was referred to in a recent Singapore district court decision as ‘incarcerative in nature and should be imposed cautiously’.” Limits on free speech have a direct and negative impact on many civil organizations whose intrinsic goals of aiding society often conflict with official government policy. Without the assistance of civil society organizations, the Sustainable Development Goals laid out by the UN cannot be met by 2030. If Asia’s leaders want to see these goals met, the restrictions on civil society organizations must be eliminated. Asian countries have both the organizational capacity and financial resources to help combat poverty, hunger and inequality, but will they be able to step up to the challenge? 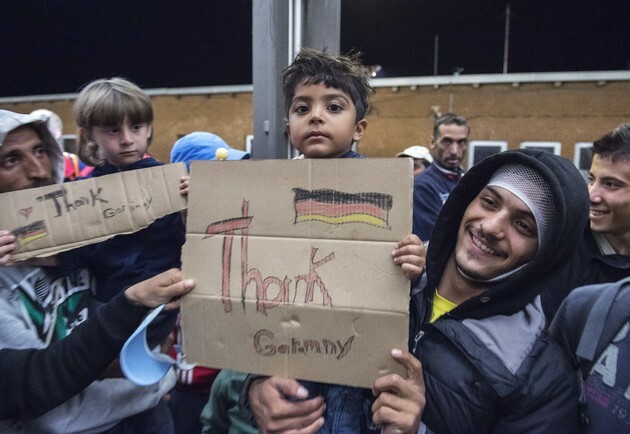 The European Migrant Crisis: A Silver-Lining for German Industry and Society? As migrants flood into Europe from countries like Afghanistan, Iraq, Nigeria, Kosovo, and especially Syria, European leaders and policymakers face a great challenge. Coming on the heels of the Greek debt crisis, the recent influx of migrants is testing the European Union once again. The responses and policy proposals from EU member states vary greatly, but the majority are focused on securing borders rather than protecting the rights of migrants and refugees. In the short run, the migrant crisis may be a burden on most of Europe, but in the long run, it could present an economic opportunity. Europe’s surging migrant population could be a valuable resource for sustained economic growth in those countries that possess the foresight to invest in them now. Many European economies face demographic challenges as fertility rates fall to 1.3 – below the replacement rate of 2.1 – while the average age increases. In 2014, 19 of the top 20 countries with percent of population ages 65 and above were European countries. This dramatic demographic change poses a serious threat to future productivity. Europe is in need of fresh young workers to counter its feeble birth rate and aging population. So far, Germany has led the humanitarian charge, unveiling some of the most generous asylum policies in the EU. One week ago, Germany’s Chancellor Angela Merkel pledged to spend $6.6 billion to cope with the roughly 800,000 migrants and refugees expected to enter the country this year. Unfortunately, without similar refugee support from nearby countries—most notably Hungary—Germany was overwhelmed by the flow of asylum seekers and decided to temporarily close its border with Austria. In spite of the border closure, the continued acceptance of refugees is economically sensible. As of 2014, Germany had the world’s third highest percentage of individuals 65 years and older (21%), coupled with the world’s fourth lowest percent of population between the ages of 0 and 14 (13%). According to the German government’s Federal Institute for Research on Building, Urban Affairs and Spatial Development, if this trend continues, the number of working age people in Germany (about 45 million) will shrink by 8.5 million by 2030 and another 8.7 million by 2050. Put another way, Germany will lose over 37 percent of its working age population in just 35 years. The largest economy in Europe cannot be sustained without more workers. As migrants and refugees enter a host country, one of the main issues that they face is integration with and acceptance by the native population. A successful way to avoid this problem is to provide opportunities for migrants and refugees to quickly contribute to the workforce and the country’s overall welfare. Private-sector investment is crucial in this process. Fortunately, several corporations have already started to make an impact on the refugee and migrant populations in Germany. Ulrich Grillo, Head of the Federation of German Industries (BDI), said last week: “If we can integrate [refugees] quickly into the jobs market, we’ll be helping the refugees, but also helping ourselves.” In addition to speaking about the economic benefits of refugees, BDI has proposed changes to Germany’s labor laws and regulations and even sought assurances that migrants who do find employment will not be deported. Corporate leaders in the automobile industry, one of the largest sources of employment in the country, have been the most outspoken in their support of migrant and refugee employment programs. Dieter Zetsche, the CEO of Daimler-Benz and a global leader in corporate philanthropy and human capital investment, said that his company would take steps to recruit new employees from the incoming pool of refugees. In addition to investing in refugee capital, the famous automobile maker also joined in the relief effort. A few months ago, Daimler Trucks, in collaboration with the Frankfurt-based aid organization “Wings of Help”, initiated a mobile relief effort in the Turkey-Syria border region. A fleet of eight Actros semitrailer trucks, provided by Daimler-Benz, carried some 120 tons of relief supplies to those in need. More recently, Matthias Müller, the CEO of Porsche AG, called for industry leaders to “take a clear stand against xenophobia and extremism.” Muller’s statement is especially important in light of the recent attacks on refugee residences. VW’s Porsche luxury-car division will also provide language training and counseling to refugees. The impact of language instruction, in particular, cannot be understated. The ability to communicate in German is a necessary step towards successful societal and workforce integration. Europe’s refugee crisis may be viewed as a political problem, but it can be an economic and social opportunity. The actions of corporations like Porsche and Daimler, as well as organizations like BDI, demonstrate that refugees can be invaluable contributors to economic and social development. Moreover, by encouraging private-sector investment in refugees governments can transform the current migrant crisis into an economic and social turning point for both Germany and the European Union. China’s Non-Governmental Organization (NGO) sector has long been surveilled, regulated, and suppressed by the central government. But there is now a gleam of hope: the Third Plenum of the 18th Congress Party adopted a reformist decision on November 12, 2013, signaling a possible willingness to extending the role of NGOs under the Xi Jinping administration. The Decision highlighted “social governance” to delineate the country’s governing order, acknowledging the significance of a mutual assistance between the government and the people. In fact, the gesture of relaxed control over NGOs was looming even before this official pronouncement. In just the past 25 years, over 50,000 officially registered NGOs have emerged, and Karla Simon, an author of “Civil Society in China” expects this number to double in the next two years or so. Until 2011, NGOs were required to have a state sponsor to officially register with the government. Nonetheless, the government has eased this rule, and some even say that they encourage organizations to have a non-state sponsoring agency.In China, all NGOs must, by law, be registered with local governments, but the reality tells a different story. There are approximately 1.5 million unregistered NGOs, constantly mounting in number and influence. Although those that deal with overtly contentious or subversive political issues remain on local governments’ radar, the array of causes the government condones has significantly increased as well. Behind this increasing tolerance is political and social decay that has almost coerced the government into allowing its people more participation in governance. Politically, it has become difficult for the Chinese Communist Party (CCP) to legitimatize its monopolistic rule. Since the erection of the People’s Republic of China (PRC) in 1949, the CCP’s legitimacy depended on its strict adherence to the socialist ideology, a consummation of Chinese culture. Since the party adopted a market economy which contradicted socialist roots during the 1989 reform, it has constantly refurbished its new economic framework as necessary ‘pragmatism.’ Yet, the party’s intensive reinforcement of a capitalist economy has inevitably breached on socialist tenets and jeopardized people’s trust in the government. The CCP has also failed to provide its people the ‘iron rice bowl.’ China’s breakneck urbanization and dependence on global markets have led to many social problems including environmental pollution, land confiscation, food scarcity, and shortages of labor resources and public services. In response, inclusive and innovative ways to participate in governance have been introduced by a new middle class less confined by the socialist ideology. The government has little ground to push ahead with in its complete clampdown on Chinese civil society, and they also surprisingly believe in NGOs for their ideas, practical, hard-worn knowledge of social problems, and ability to gain local people’s trust. In short, the economic and social problems that have been limiting people’s lives are now, in the new front, a source of liberty to the people and fetters to the government. There are still more restrictions and limitations than freedom and potentials. Of the 50,000 official NGOs, most are still quasi-government organizations affiliated with government agencies. Organizations committed to politically subversive subjects cannot be officially recognized. In regards to the government’s intentional oversight over unofficial grassroots NGOs, some argue that there are hidden rules of “no recognition, no banning, no intervention” that implicitly manipulate and restrict organizations’ operations. 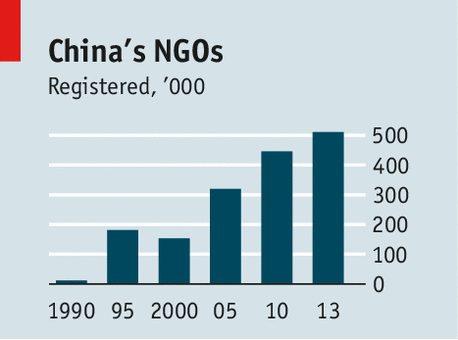 NGOs are largely seen as a temporary tool for the CCP to realize its ends. The Third Plenum’s edict does mean a thumbs-up for reforms that have been going on in the NGO sector. With no specific blueprint on how the 18th National Congress will implement laws and regulations, however, the future of Chinese civil society still remains a question in the long-run. On Thursday, April 17, the Center for Global Prosperity had the pleasure of hosting an event, “Philanthropy for Civil Society in Pakistan”, with CEO of the Aga Khan Foundation, Dr. Mirza Jahani, Chairman of the Pakistan Centre for Philanthropy, Shamsh Kassim-Lakha, and CGP’s Director Carol Adelman. The panelists spoke on topics ranging from the recent growth of civil society in Pakistan to the impact of economic development on future philanthropy. One very interesting point Lakha made was the pervasiveness of a giving culture in Pakistan and the importance of leveraging that community giving to strengthen civil society. He spoke about how Muslim culture has an ethos of giving that Pakistanis take very seriously. According to Lakha, approximately 80% of Pakistanis participate in some form of philanthropy, whether it be through monetary donations, volunteering, or both. These are levels equal to the US, one of the most philanthropic populations in the world. To further illustrate his point, he spoke of how 28% of those participating in philanthropy live on $2 a day. Throughout the discussion, Lakha placed special emphasis on the growing role of civil society. He claimed that as Pakistani civil society develops, citizens would increasingly rely on it to fill the government gap in providing social services. Because of this, Pakistan must find a way to leverage the philanthropic culture to promote civil society growth. It is not enough to just participate philanthropy, Pakistan must find a way to develop and apply this philanthropic culture in a systematic and effective way. Dr. Jahani made an intriguing comment on the current organization of philanthropy in Pakistan. He claimed that it fell into two camps: pure philanthropy and pure investment. He argued that in order to leverage the philanthropic culture, Pakistan must find a way to fill the gap between these two approaches. Both philanthropy and investment are needed in the development of civil society but often seem to be at odds. Philanthropy has the perception of being perfectly altruistic while investment is about the investor’s monetary returns. How can these two approaches that seem at complete odds work in conjunction with one another? Some argue that impact investment could be the connection between pure philanthropy and pure investment. Simply stated, impact investment is strategic investments companies make for financial gain that also have a social or environmental improvement goal. Impact investment gained popularity last year when it became a focus at the G8 Social Impact Investing Conference and the Aga Khan Foundation has had an impact investment initiative since 2011. 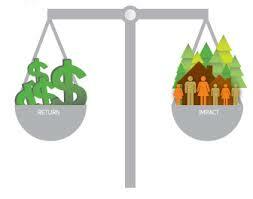 In 2012 alone, companies donated more than $8 billion to impact investment. It is a way for companies to increase profits while also earning public goodwill. Because impact investment primarily occurs through private corporations, the concept connects strongly to the economic development of Pakistan. During the discussion, Lakha pointed out that the economies of developing nations are growing at a faster rate than those in high-income countries. This means an increase in overall philanthropy and investment in Pakistan. He argued that corporate philanthropy is becoming increasingly important and will be critical to the development of a strong civil society. While an increase in philanthropy is a desirable trend, through impact investment Pakistani corporations could scale up the impact and returns of its investments through a single action. If Pakistani corporations catch on to the impact investment trend, Pakistan might see a large increase on its returns on investment, both on the economic and social ends. Now the country must figure out the best approach to encouraging impact investment. If you would like to listen to the entire discussion on “Philanthropy for Civil Society”, please click here. The nickname “black gold” has always been apt when dealing with oil. But dreams of riches and development have been masked by the murky nature of money flows connected to it. Nigeria in particular has been blessed and cursed with its abundant oil supplies. With the second largest GDP in Africa, Nigeria still has 46% of its population below the poverty line. This is despite the oil and gas sector representing 35% of the Nigerian economy, according to OPEC. The Nigerian Association of Chambers of Commerce, Industry, Mines, and Agriculture has even asserted that the oil and gas sector has been distorting the Nigerian economy. Recent revelations have shown that corruption in the oil sector is still rampant. The question becomes what pressure can be brought on the industry. Recently, Lamido Sanusi, the Nigerian central bank president, was suspended and removed from his position by President Goodluck Jonathan. Sanusi’s suspension was prompted by the revelation that $20 billion in oil revenue was not accounted for by the Nigerian National Petroleum Corporation. The revelation created enough of an uproar that a forensic audit has been called for to try and account for the missing money. This is on top of the fact that a month earlier, the NNPC was selling kerosene to marketers at one-third of the international price, allowing them to mark up kerosene to Nigerian citizens 300-500%. The mark-up is the difference between 140-160 naira per liter ($.85-$.97) and 40 naira per liter ($.24). In the past, Nigeria tried to tackle the issue of corruption and the lack of transparency in the oil sector by establishing the Nigeria Extractive Industries Transparency Initiative (NEITI) in 2007, which is the local adaptation of the Extractive Industries Transparency Initiative (EITI). NEITI is mandated to audit the extractive industries, and provide transparency and accountability. It is comprised of representatives from the government, oil industries, and civil society. While the cooperation of national governments and NGOs is a laudable achievement, the voluntary nature of the EITI has been criticized. International NGOs, such as Oxfam and Publish What You Pay (PWYP), feel that the standard adopted by extractive industries should also be backed by a legal enforcement framework. EITI has also been criticized for the role of civil society organizations (CSOs) in the EITI framework. EITI can be considered a top-down reform, and the governments and extractive industries still have more power than the CSOs, creating pressure for the CSOs to go along with the EITI process, according to Kees Visser at the Focus on the Global South. There is also the question of which CSOs are chosen to be represented. EITI has also not been shown to reduce the Corruption Perceptions Index. In Nigeria, the NEITI has published audits, which have had no effect on laws, because dissemination is not simple in a country with low internet access. There have also been representatives of NGOs who were actually single person self-promoters. With the doubt cast over the EITI, the question remains on what model civil society in Nigeria should use to ensure that all Nigerians benefit from their extractive industries. While there is a local chapter of Publish What You Pay, coalitions in Ghana and Uganda could serve as templates for counterbalances to the government and industries. 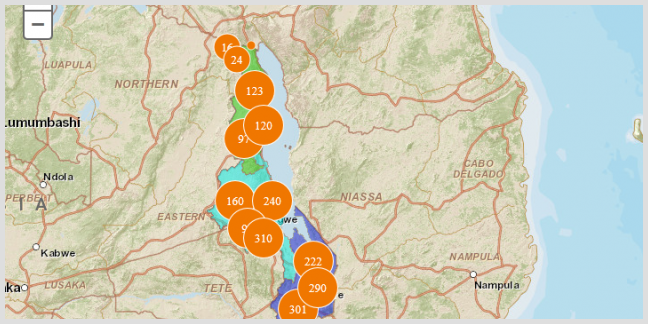 The Civil Society Coalition on Oil and Gas (CSCO) in Uganda and the Ghana Civil Society Platform on Oil and Gas are both large coalitions of CSOs: 40 in CSCO and 120 in Ghana compared to 19 in PWYP. Both coalitions use the expertise from individual CSOs to issue media campaigns and community interaction to pressure governments to keep oil and gas taxes and concessions transparent. In Ghana, the Civil Society Platform on Oil and Gas issues “Readiness Report Cards” and actively contributes to the Public Interest and Accountability Committee and proposed laws through the committee. The Ghana platform is funded by various international donor agencies, such as USAID and the EU, and therefore have the backing of powerful partners. Both of these countries have only recently discovered oil, so it remains to be seen how successful these coalitions will be in exerting pressure. For the most part, there’s nowhere to go but up. Phoenix Rising in the Euromaidan? 360 degrees of a protest at the Euromaidan. From various recent photos, it could be presumed that Ukraine is consuming itself into a fiery maelstrom. However, the seeds for these protests lie in the recent past, starting with the Orange Revolution. In 2004, Viktor Yanukovich (show in red for clarity) was running against Viktor Yushchenko (shown in orange) for the presidency of Ukraine. Bizarrely, even before polls had started, Yushchenko had been poisoned with dioxin, leaving him pockmarked and scarred. This was very suspect considering that Yanukovich had a history of criminal activity through assault, battery, and robbery. The exit polls gave Yushchenko a margin of victory of 11% while the official results declared Yanukovich the victor by 3%, sparking massive protests in the street. After many months, threats of secession from the pro-Russia East of the country, and a re-run of the polls, Yushchenko won by 8 points and finally took office as the president of Ukraine. The political intrigue did not end with the Orange Revolution. Viktor Yanukovich was elected president in 2010, beating the populist opposition figure Yulia Tymoshenko, one of the leaders of the Orange Revolution, which the international community observed as free and fair. Shortly thereafter, Tymoshenko was arrested and convicted to seven years in prison and fined $190 million for supposedly signing a disadvantageous contract with Russia for natural gas when she was prime minister. There were more protests, though smaller in nature and mostly only Tymoshenko supporters. The effects of the dioxin poisoning on Viktor Yushchenko. Within this politically charged atmosphere, there was always a geopolitical divide between pro-Europe factions and pro-Russia factions. With the return of Vladimir Putin to the presidency in Russia, there has been a revival in the idea of a Eurasian Union. Having already lowered tariffs and customs duties, Russia, Kazakhstan, and Belarus aim to create an economic union similar to the European Union. Key to this Eurasian Union is Ukraine, as it is one of the biggest markets from the former Soviet Union. Russia is the destination for a quarter of Ukrainian exports. One of the main worries for Ukrainians is that a Eurasian Union will lead to a political union dominated by the Russia, as Putin has been seeking closer ties with the former states of the Soviet Union. Through this whole background, Ukraine was slowly inching towards European integration. Under Yulia Tymoshenko, a EU-Ukraine Association Agenda was agreed upon in 2009. Yanukovich continued closer ties with the EU through negotiations to lift visa requirements and establish a free trade agreement with the EU. However, November 2013, the Ukrainian government decided to suspend agreement talks, sparking the largest protests in Kiev since the Orange Revolution. Shortly thereafter, Ukraine and Russia signed a treaty where Russia would buy $15 billion in Ukrainian bonds and supply natural gas at a reduced rate. This is widely considered to not only keep Ukraine in the Russian sphere of influence, but also to keep alive the dreams of the Eurasian Union. Russia has even tried to influence the Ukrainian economy by banning the import of Ukrainian chocolate. Protesters in Kiev battle with police on the streets. This has not set well with the Ukrainian people, especially those around Kiev. They have set up protests in Independence Square, now known as the Euromaidan, camping out there since November 2013. Protesters have barricaded themselves in government buildings, including the ministry of justice and Kiev city hall. The Ukrainian government passed a series of harsher restrictions on protests, known by protesters as the “dictatorship laws”, by a show of hands. These laws include such flagrant violations of civil rights and protests, such as trial in absentia and a blanket amnesty against those who commit crimes against the protesters, like the security and law enforcement officers. The law with the most far-reaching consequences is the law requiring non-governmental organizations accepting foreign funding to register as “foreign agents”, modeled on a similar law passed in Russia. 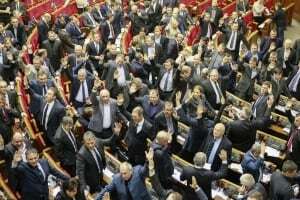 The Ukrainian parliament votes for restrictions on protest with a show of hands. In Russia, the “foreign agents law” has been used to crack down on civil society organizations. The Golos Foundation, a civil society organization that helps monitor elections, has been fined $10,000, even after they stopped receiving funding from foreign sources. Amnesty International, Transparency international, charities, non-orthodox churches, and even a french language school have been raided by the Russian security forces trying to weed out “foreign agents”. The nature of the law has been to “stigmatize and discredit NGOs engaged in human rights, election monitoring, and other critical work”. In essence, the law has been used to stymie dissent from organizations promoting community-wide discourse. There is the fear that Yanukovich, with his his criminal history and suspected involvement with vote-rigging, could clamp down on civil society and harass organizations in a similar manner as they have in Russia. Luckily, the Ukrainian parliament repealed the anti-protest laws with near unanimity. However, as it’s shown in the past, the Russian bear is always waiting in the wings.